Fifty years ago this week, on the Hot 100 dated June 29, 1963, a songwriting team from the United Kingdom made its Billboard chart debut. The two Liverpudlians receiving their first song credit in America were named John Lennon and Paul McCartney. At this point in 1963, the Beatles had been charting in their own land for just over eight months. They made their U.K. debut the week of Oct. 11, 1962, with “Love Me Do,” which only went to No. 17. The follow-up, “Please Please Me,” peaked at No. 2. Their third single was “From Me to You,” which debuted the week of April 18, 1963 and went to No. 1 two weeks later. Shannon didn’t pay attention to that request. His single brought Lennon and McCartney to the chart for the first time, but it didn’t give the songwriting duo a hit. The 45rpm recording on the Big Top imprint only spent four weeks on the chart, peaking at No. 77. The original version, released on the Chicago-based Vee-Jay label, debuted on the Bubbling Under the Hot 100 chart the week of Aug. 3, 1963, stalling at No. 116 and never graduating to the main Hot 100. 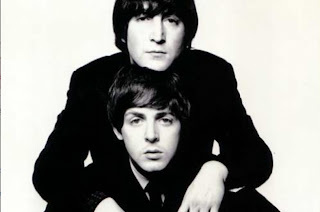 Lennon and McCartney never had to tell another American artist not to cover one of their songs.